The annual SavorNW Wine Awards are designed to showcase Northwest wines and promote awareness of our great Pacific Northwest wine regions. 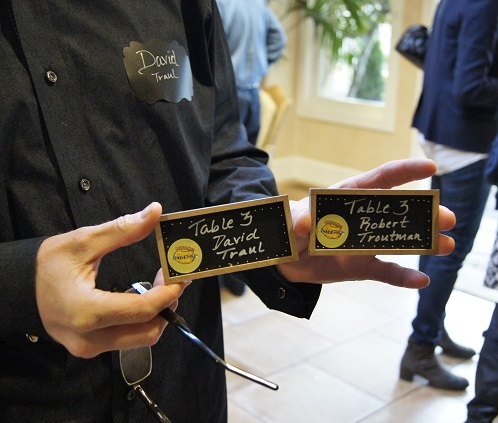 The SavorNW contest is a professional, single-blind judging of wines from all over the Pacific Northwest. Ledger David submitted 6 wines for consideration this year, and over 550 bottles were evaluated at the February 2014 event. “Judges are instructed that any medal in our competition should be an above-average example of Northwest wine making,” said Gary Hayes, Executive Director of the SavorNW Wine Awards. Silver Medals are above-average wines with distinctive character and Gold Medal wines are above-average wines with exceptional character. We’re proud to have received medals on all of our submissions. 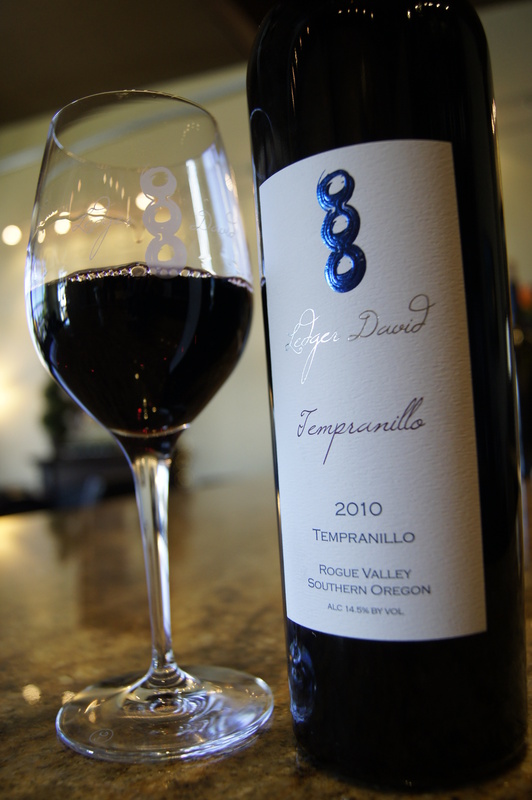 This marks the first Gold Medal (and fourth medal overall) for our 7-month-old Tempranillo ’10 – and yes, we’re happy with that recognition! Taste these award-winners and other estate wines at our Le Petit Tasting Room in Central Point (open Oct.-April, Thurs. through Mon., noon-5pm and May-Sept. daily noon-5pm) next to Rogue Creamery and Lillie Belle Farms. Visit www.ledgerdavid.com for more information on purchasing wines and to find out how you can join the Primoris Wine Club. 1. Preheat the oven to 375°. In a large saucepan of salted boiling water, cook the orzo until al dente. Drain and transfer to a medium bowl. 2. In a large skillet, cook the bacon over moderate heat until browned, 8 minutes. Add the leeks and cook until tender, 8 minutes. Add the leek mixture to the orzo, leaving 1 tablespoon of fat in the skillet. Add the spinach to the skillet and cook until wilted; transfer to a colander and press out the excess liquid. Add the spinach to the orzo, fold in the feta and season with salt and pepper. 3. In a bowl, whisk the eggs with the yogurt and milk, season with pepper and stir into the orzo. Scrape the mixture into an oiled 12-by-8-inch baking dish and bake for about 45 minutes, until the eggs are set and the top is browned. Let stand for 10 minutes before serving. Pairs with Ledger David Sauvignon Blanc. As always, the Oregon Cheese Guild’s Cheesemaker Dinner on March 14th started with a Seriously Great cheese spread. Many of the cheeses were brought to the event by small, artisanal producers from all over Oregon. I enjoyed the Pinot from Willamette Valley Vineyards while mingling with the festive crowd at the historical Ashland Springs Hotel. Next– on to the four course meal. Kudos to the Chef. The wine and food pairings were exquisite. It was interesting to hear Cheese Expert (also known as a Maître Fromager aka Cheese Monger) Max McCalman’s insight into the US’s place in the world of cheese and that we are slowly becoming better recognized for our high quality artisan cheeses. It’s my turn to talk and, as always I’m a bit nervous at such a large event with over 120 attendees – many intensely passionate about food and wine. I spoke briefly about the Ledger David Primoris (Chenin Blanc), Sauvignon Blanc and Tempranillo that were served at the event. As a tribute to national Pi day, I also posed the question of the significance of the ratio of a wheel of cheese circumference to its diameter, which got a few nods and words of agreement. Deanna McArdle Eames from Willamette Valley Vineyards gave a heartfelt talk on the quality of the region’s wines and cheeses. Then Robert and I enjoyed the final pairing (lime and thyme-infused Briar Rose ricotta with reduced balsamic paired with WVV’s Muscat-Frizzante´) before we were off to rest. Had to gear up for the farmer’s market style cheese festival, which boasted over 4,000 attendees this year. 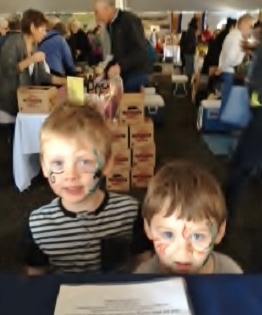 On Saturday, our toddlers, Ledger and Slater enjoyed petting the calves, getting their faces painted and tasting cheeses, jams and thick sliced bacon before Lena joined me to work at the Ledger David wine tasting booth. Regina, Robert and Heather were hopping all day long at the tasting room and Jeff stopped in for a two-hour jam session. The sun was shining and the big doors were open as guests moved between the tasting room bar, the patio and the picnic area to enjoy wine, cheese and live music. Overall a fabulously successful weekend and a great event to be held in southern Oregon celebrating Quality Artisanal products. Hats off to the Rogue Creamery and the Oregon Cheese Guild for allowing the Ledger David family to participate in another great year!